We are a team of innovative, empathetic, exemplary healthcare professionals who are driven by passion, inspiration, and performance. We empower you to achieve a healthier lifestyle by promoting, restoring, and maintaining your physical wellbeing, thus improving your overall quality of life. Maisy has a Bachelor of Science degree majoring in Kinesiology from Simon Fraser University and a Master of Physiotherapy from the University of Sydney, Australia. She holds both Mulligan Concept certifications and is certified by the Acupuncture Foundation of Canada Institute and the K-Taping International Academy. She also attended Emory University, a leading research university in Atlanta, where she received training in Vestibular Rehabilitation. Maisy obtained experience in the public sector at various hospitals in Sydney, Australia. Upon returning to Canada, she worked in private clinics treating orthopaedic and post-surgical orthopaedic injuries, and work and motor vehicle-related injuries. In the past few years, Maisy has taken a keen interest in vestibular dysfunctions in the adult and geriatric populations. Her experience as a community kinesiologist, as a short-term disability case manager – and now as a Physiotherapist – have contributed to her strong belief in the active and multidisciplinary approach in patient care for successful goal-oriented outcomes. Maisy’s treatment approach involves a combination of education, manual therapy, tailored exercise prescription, and acupuncture / IMS. Outside of work, Maisy enjoys spending time outdoors with her active toddler and family, trying out new recipes, and international travel. Wing Ting graduated from McGill University with a Master of Science in Physical Therapy. She has also completed the transitional Post-professsional Doctor of Physical Therapy in Musculoskeletal Management from EIM Institute of Health Profession. She is certified in Acupuncture and Dry Needling in cervicothoracic and lumbopelvic regions, K-Taping, and Selective Functional Movement Assessment Level 1. 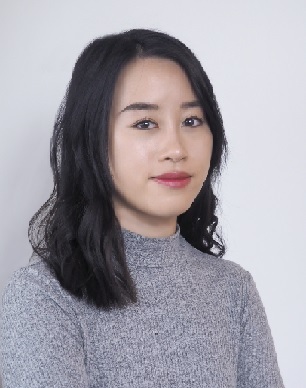 Wing Ting’s interests include pain science, hand therapy, and manual and manipulative therapy. She has practiced in private orthopedic clinics in Ottawa, ON and has gained experience treating patients with neuromuscular and orthopedic conditions of various nature; MVA, postsurgical, trauma etc. 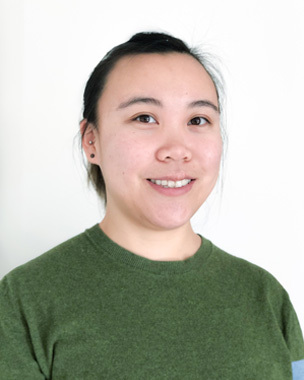 She has also been working in Vancouver General Hospital in the surgical physiotherapy team, refining her cardiorespiratory knowledge and skills. 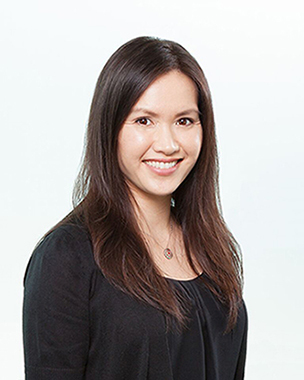 Her training along with experience allows Wing Ting to use a multisystem and multidisciplinary approach to her assessments and treatments. Wing Ting believes in individualized and personalised physical therapy and patient empowerment through therapy. When Wing Ting is not looking for ways to improve patient care, she is exploring Vancouver with friends and spending time with her cat Tora. Maria completed her Bachelors in Kinesiology at University of British Columbia and her Masters of Physiotherapy at the University of Queensland in Australia. Maria enjoys using an evidence based approach to treat all conditions with a combination of manual therapy, soft tissue release, dry needling, and intramuscular stimulation (IMS) for pain relief and symptom management along with a personalized home exercise program to start as early as possible. Maria enjoys treating a variety of patients that range from the athletic population to patients with everyday niggles! She’s worked in the private sector in Melbourne and Vancouver and also has experience in aged care. Maria has experience treating patients suffering from motor vehicle accidents, work injuries, sport injuries, etc. Maria enjoys playing ultimate frisbee competitively, going to the gym, and hiking.